Thanks to Ms. R. for spotting this Fortune article about Lululemon making the uniforms for the Canadian and one of the US men's 2016 Olympic volleyball teams (Jake Gibb/Casey Patterson, both Elite lululemon ambassadors) and a few other Olympic athletes. 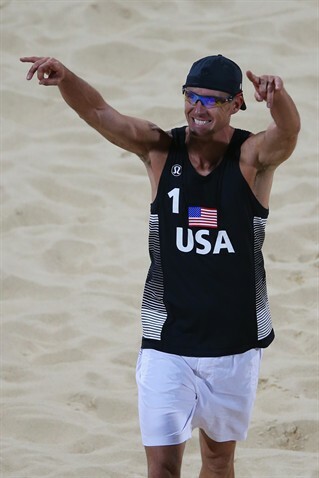 Lululemon outfitted one of the men's US volleyball team at the 2012 Olympics, too, but I've got to say I like the 2016 graphics even better. Replicas of the Canadian team's gear will be available in Canadian stores but it doesn't sound like the US outfits will hit US stores. They should put it on the website. 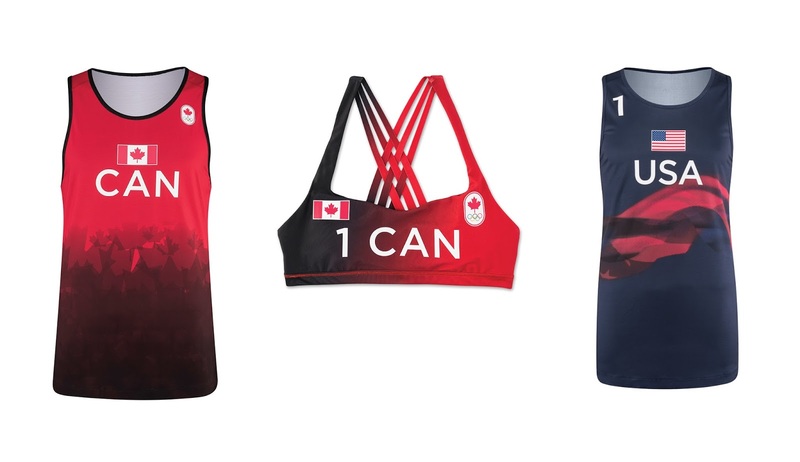 What's funny is that analysts think lululemon isn't respected by Olympic athletes, yet when you watch background pieces on various athletes at the games you'll often see them wearing lululemon for practices and lounging around. So the brand is respected by athletes, they just aren't paid to wear it like with bigger brands Nike, UA, and Adidas. I like the gear. are they outfiting the whole Canadian team? or just some athletes. @M - from the article it sounds like just a handful - volleyball, some cyclists, and a few others. Your comment at the end is so true. To be honest, that's why I sometimes enjoy watching practice stuff or interviews or story of montages. I love to spot Lulu in the wild! I'm looking forward to checking out the Lulu at the Olympics! I am certain that professional athletes respect Lululemon as I see them wearing it, too. The top contending women in martial arts or whatever sport it's called wear it also because I have seen them. I can tell right away when professional athletes are wearing it! I just think that living in the USA the major sports brands pay their athletes to wear their stuff even though the quality is not up to par with Lululemon. My husband and I see this time and time again: he spots the professional male athletes and I spot the professional women athletes wearing Lululemon. such a great initiative, can't wait to see the pieces in store. and.... Go Canada, Go! I also totaly agree with what you wrote about in your last paragraph about the athletes wearing lulu during practice and workouts, etc... I've noticed this a lot as well. haha, and I also agree with lulubell! I love spotting lulu 'in the wild' as well! As an athlete who is forced by contract to wear a certain brand of athletic apparel for competition, all of my favorite non-specific sport pieces are lulu. It's the only brand of sports bras and bottoms I wear to train. I'm jealous of these Olympians who get to wear it lol!